1.Mesh design with 25high transparency. Enables multilayer display setup that allow effects like smoke. the display and windows into the building interior-an energy saving setup. 2.Creative setups include curved,circular or wave forms;and irregular profiles around structures. for regular / irregular shapes. 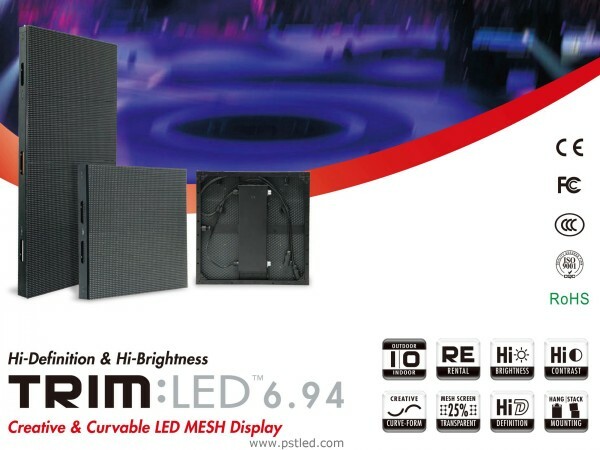 4.Slim profile and light weight modules that are easy to install and maintain as well as to transport and store. varied harsh environments from event to event. 8.Applications:Stage background,main and split screens;Entertainment centers;and Special events.